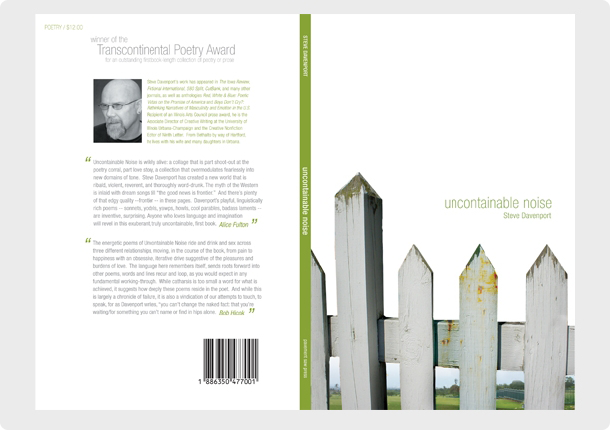 The project was for a book cover for Steve Davenport’s collection of poerty. 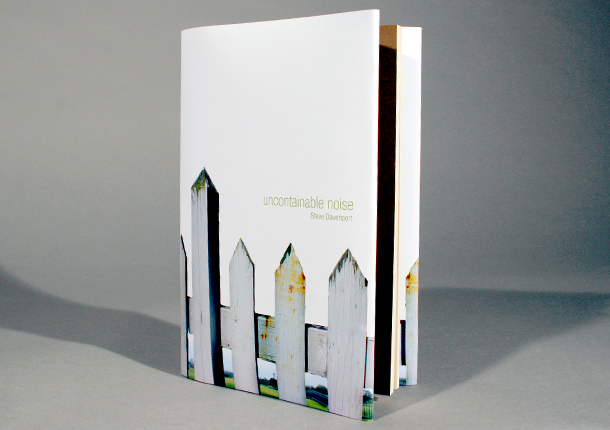 The assignment was to visually reflect the author’s ideas in a vital and handsome manner. Using the metaphor of white picket feces, my interpretation of his text was the struggle for and the non-existence of a perfect love. Sometimes a person can feel trapped in a relationship or sentiment and that it is somewhat greener on the other side. 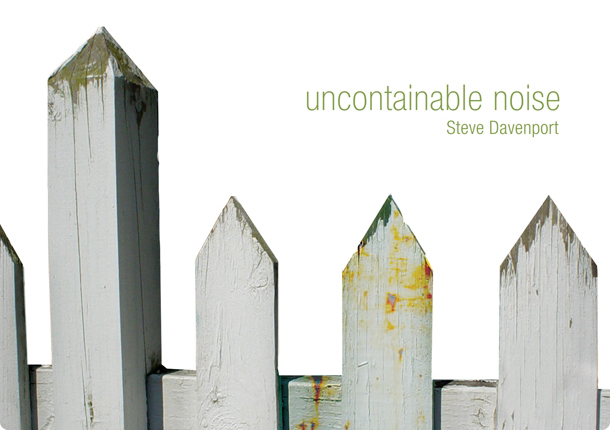 Uncontainable Noise (2006), won Pavement Saw Press’s Transcontinental Poetry Prize.